At 12.02am on 14 November 2016 a magnitude 7.8 earthquake rocked New Zealand. The seaside town of Kaikoura was cut off entirely, separating people from their families, support systems, and places of work. One year on, residents are continuing to deal with the physical and psychological effects. Belinda Rawson had just finished a late-night feed for her youngest child, Cason. She was lying in bed when her daughter jumped in with the two of them. Suddenly the house began shaking violently. A loud bang signalled the end of the tremor and Belinda grabbed her three children and ran outside, unsure of what to do next. Belinda tells the story calmly but a few details indicate the frantic nature of the night. Cason had to be taken to hospital to be checked after an accident as the young family rushed out the door. Details are also sketchy in some parts, which is often a sign of increased cortisol levels due to stress. Life isn’t getting easier for the family, they’ve just been told they’re being evicted from their home. Belinda says the support she’s received has been incredibly valuable to the family over the winter. She says the little things have kept her going throughout the year. The family often goes on walks and plans to go for swims now that summer is approaching. Above all though, Belinda says having friends and family members to turn to has been an important part of the recovery process. Although Belinda now works fulltime at a local preschool, she used to attend a playgroup for mums and their babies in Kaikoura that was set up after the earthquakes and is supported by Red Cross. 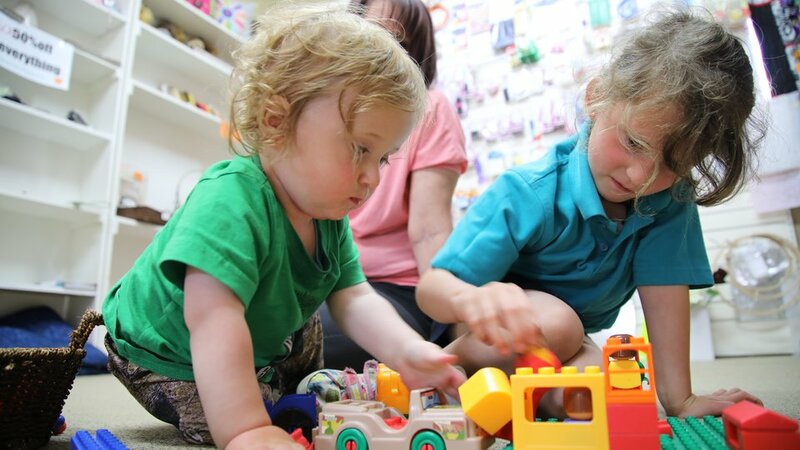 The Plunket-run playgroup meets twice a week and is vital for building social connectedness in the community. Jo Ogden with baby Paige at the Red Cross supported playgroup in Kaikoura. Four babies sit in the middle of the room playing with toys while their parents sit nearby watching them carefully and chatting openly. One is Jo Ogden who started bringing her daughter Paige here in March. “I like the social side of it, it’s just nice to get out of the house,” she says. Groups such as these have been incredibly important for the community, which has been virtually isolated since the earthquake. Find out more about New Zealand Red Cross recovery activities here.